Please follow the links to learn more about the class goals, times and cost. The younger children who will most likely have two years until Kindergarten. The older children who have one year until Kindergarten. 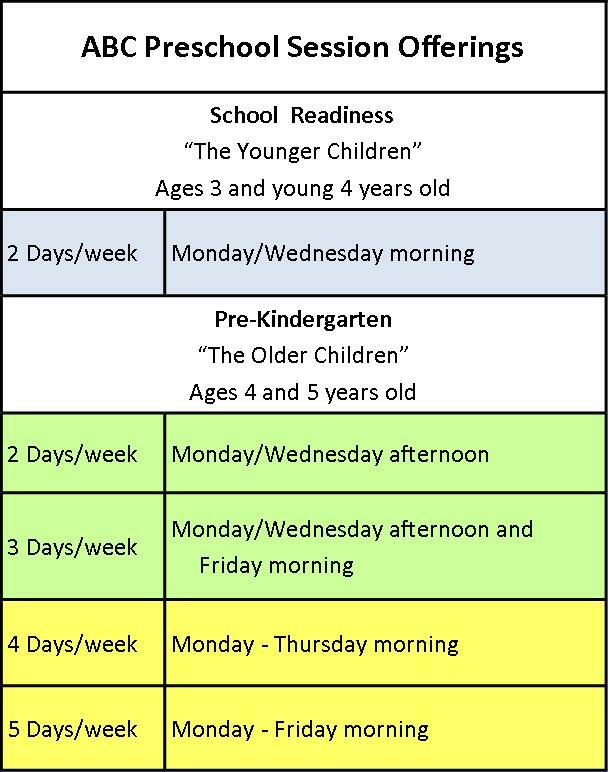 Four and Five days/week for the children who will go to Kindergarten. 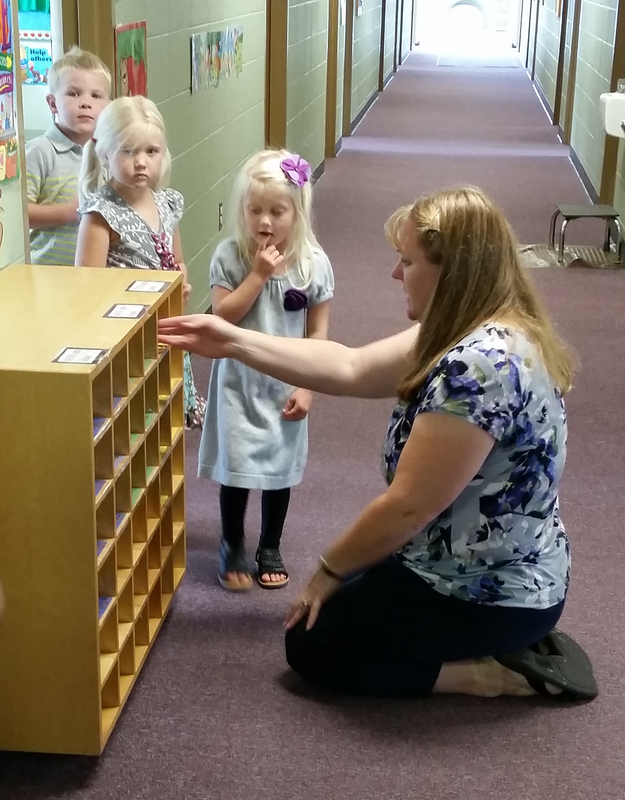 A $40 non-refundable registration fee is due along with the application for preschool. The tuition is based upon the number of days in school each week. Below is the 2017-18 Schedule. The session offerings vary year to year based on the number of and age of students. The new school year offerings will be posted in mid-August after the open house. Please contact Miss Kim with questions.